Oh, the beauty of keyframing. Works for everything. Including for manipulating the audio levels of your videos. In Magix Edit Pro Plus, you go to Effects/Audio Effects/General. Then you drag the volume handle and click the keyframe symbol (diamond). Now you have a keyframe. Then you click on the eye symbol in order to activate the visual curve for the effect (volume in our case). From then onward you simply create nodes by clicking on the line. You drag those nodes up and down, right or left and you get your audio fade ins and fade outs. 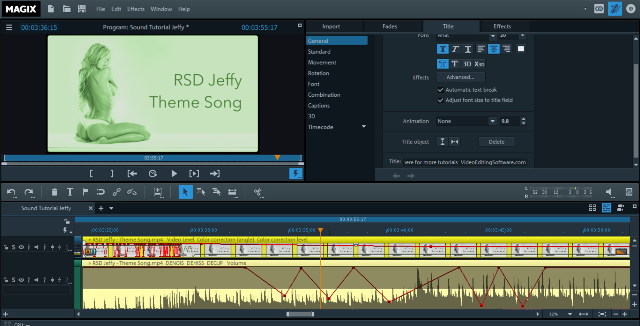 How cool is that for a consumer video editing software? You tell me! Get Magix and start editing cool videos.